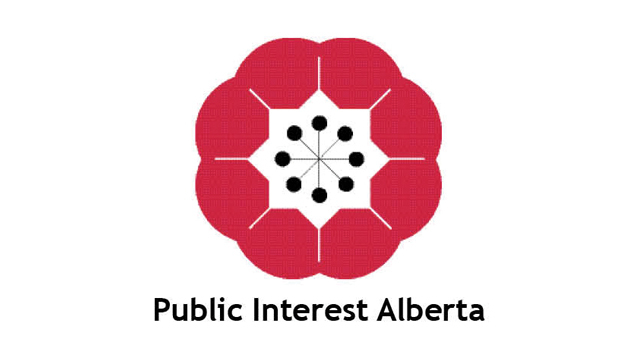 Founded in 2004, Public Interest Alberta is a non-profit, non-partisan organization with a focus on public interest education and advocacy in Alberta. Together with a network of member organizations, Public Interest Alberta works to build an understanding of the importance of Alberta’s public spaces, services and institutions as they impact the lives of everyday Albertans. In addition to the research work of Public Interest Alberta, the organization works to coordinate political action related to issues of public interest. Public Interest Alberta believes it is the responsibility of the Alberta government to advance the collective interest of the citizens of Alberta through a commitment to the principles of equity, accessibility and democracy in both the society and institutions of the province.